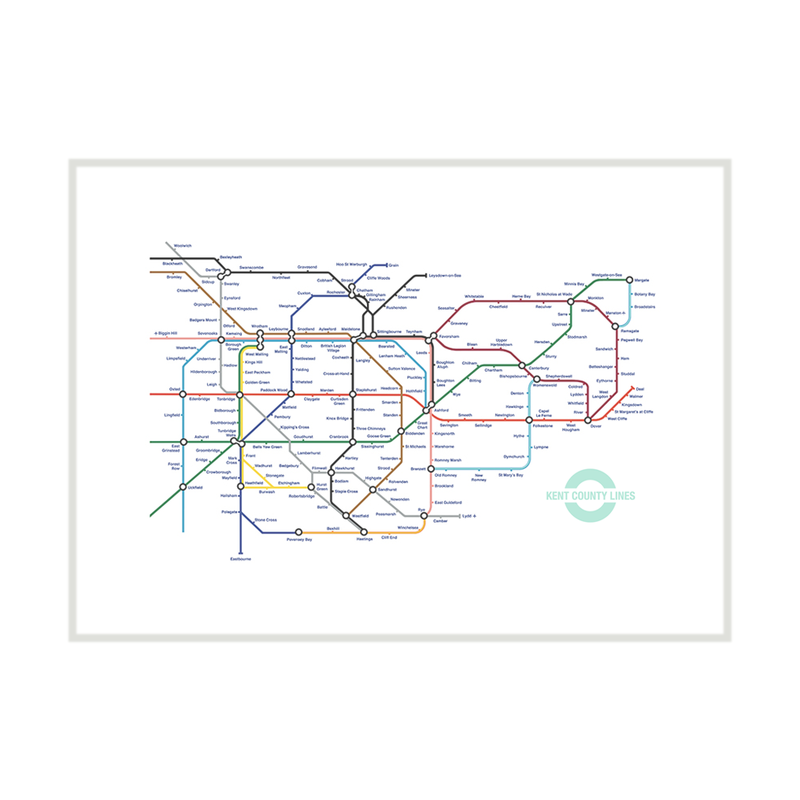 A3 size 42.0cm x 29.7cm (16.53 x 11.69 inches), printed on heavy duty 250gsm silk card. Each print is individually rolled and carefully packed by hand and delivered to you in a cardboard poster tube. ​Please allow 7-10 days for delivery (contact us if you require the print faster). Lovely print. Looks great in our downstairs loo! 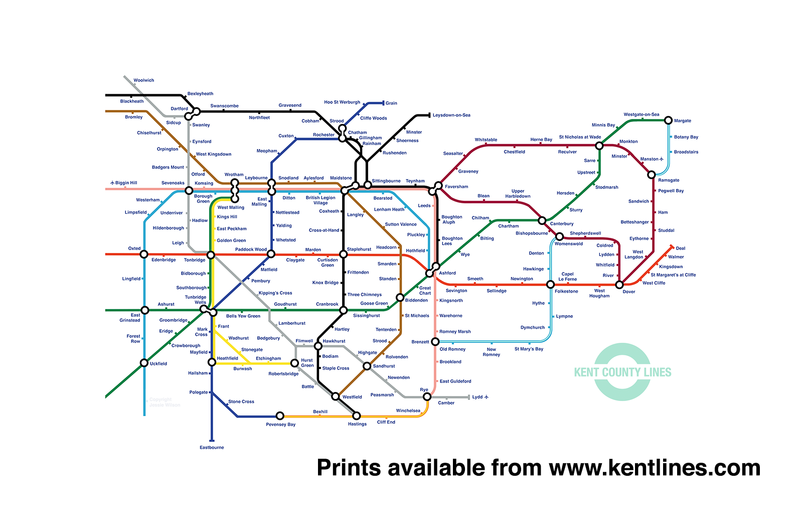 The Kent Tube Map Pastiche was created in December 2016 by Tunbridge Wells mum Jessie Wilson. 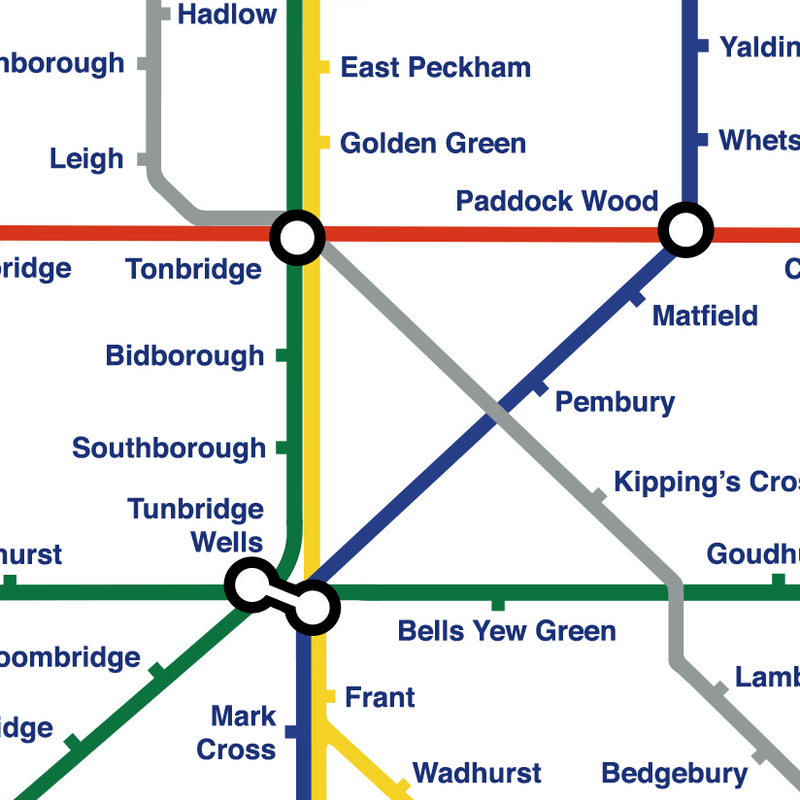 Based on the iconic London underground map by Harry Beck, the coloured lines loosely follow Kent's main road networks (with a little artistic licence along the way). Please contact us if you would like to check if your hometown is featured on the map. 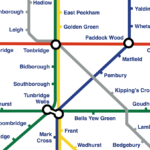 Maps can be customised to incorporate additional towns and villages. Prices available on request. 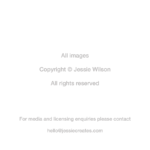 For media, licensing and all other enquiries, please contact Jessie Wilson at hello@kentlines.com. 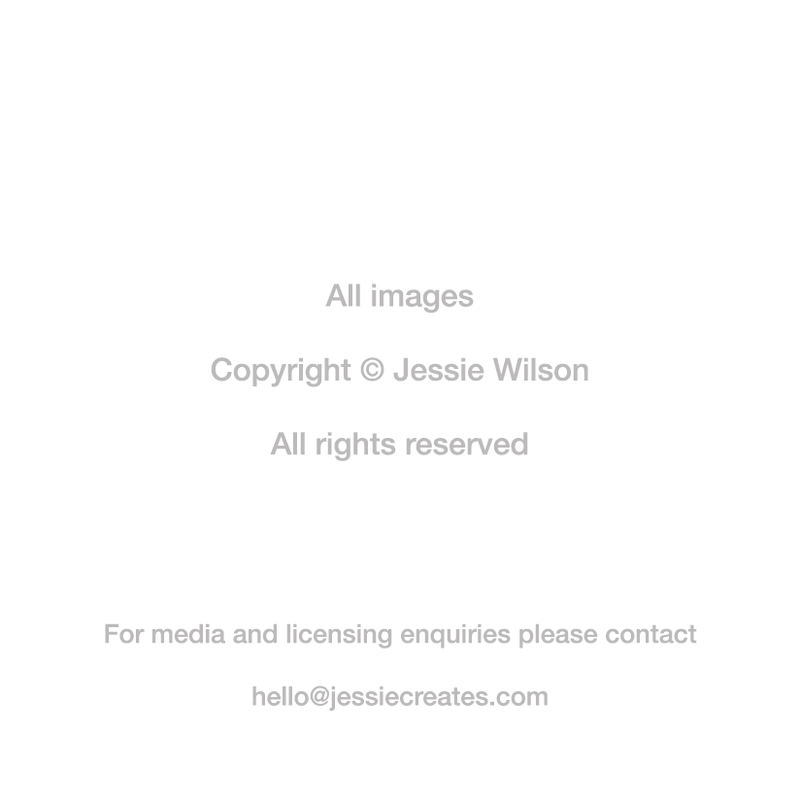 All images copyright © Jessie Wilson. All rights reserved.